The first few months of 2019 have been busy for Ichabods Moving Forward. We welcomed several new members, raised over $3,000 on Day of Giving, and officially opened the Student Emergency Fund application to all students. Our new members include Alison Johnson, Andrew Gill, Bayley Baker, Blythe Landon, Clare Bindley and Sarah Pride. IMF hosted a retreat in January of this year to welcome the new members and lay the groundwork for a successful year. Day of Giving was held on Feb. 6. IMF hosted several on-campus events encouraging students to get involved and create a culture of giving at Washburn. The events included the #ALLforWU breakfast drive-through and celebratory bow tie lessons with Dr. Farley. Ultimately, IMF raised over $3,000 on Day of Giving. It was the amazing support from over 100 donors that allowed us to finally open the application for the Student Emergency Fund. We are so thankful for the support of our generous donors. Ichabods Moving Forward is excited about the fund, and encourages all students in need to apply. For inquiries about Ichabods Moving Forward or the Student Emergency Fund, please contact us at ichabodsmovingforward@wualumni.org. 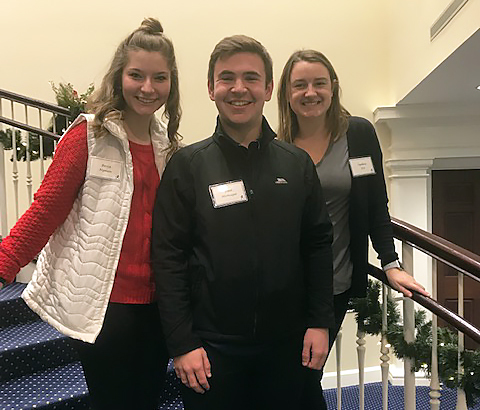 Ichabods moving forward had the opportunity to help the Washburn University Alumni Association and Foundation during the Bell Tower reception on Nov. 27, 2019. The Ichabods Moving Forward members helped with the coat check and the valet parking available at the event. “It was a good opportunity to connect with Washburn alumni and to share our vision about our emergency fund,” said Becca Nyman, member of Ichabods Moving Forward. Thanks to the generous donations of attendees, Ichabods moving forward was able raise more than $170. During the past month, Ichabods Moving Forward presented to several different organizations around the Washburn community. In addition, Ichabods Moving Forward attended one of the volleyball games and Greek 101. We are thankful for the support we have received. Student organization presentations have been vital to gaining awareness and support around campus. We appreciate all the organizations that have welcomed our executive council to their meetings. Thanks to the generosity of students and members of the Washburn campus, Ichabods Moving Forward has raised over $2,000 for the student emergency fund. We will begin distributing funds in January of 2019. The application for the emergency fund will be finalized and become available in the coming weeks. Ichabods Moving Forward is preparing to add new members to the executive council in January of 2019. These new members will help to maintain momentum for the group as current members graduate. The new executive council will begin serving in January and will assist with projects throughout the following year. Do you want to have a presentation at one of your meetings? Email us to know more about our mission to help students move forward! Ichabods Moving Forward is gaining support on and off campus. We are in the early stages of building our Student Emergency Fund and will be accepting applications for assistance in January 2019. One of our executive council members, Paul Mismaque, gained our first international donation! Paul is an international student from France. After Family Day, he followed up with his parents to ask why they decided to support Ichabods Moving Forward. The Student Emergency Fund created by Ichabod’s Moving Forward will provide emergency assistance to students who are going through a temporary financial crisis. 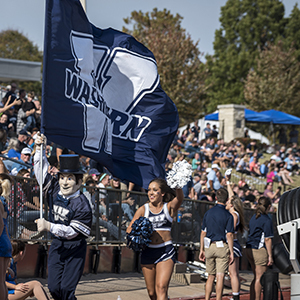 Washburn University is a community, together we can support students during the unexpected. Please take a moment to learn more about this organization and if you can, consider donating, the donations will support Ichabods throughout campus. 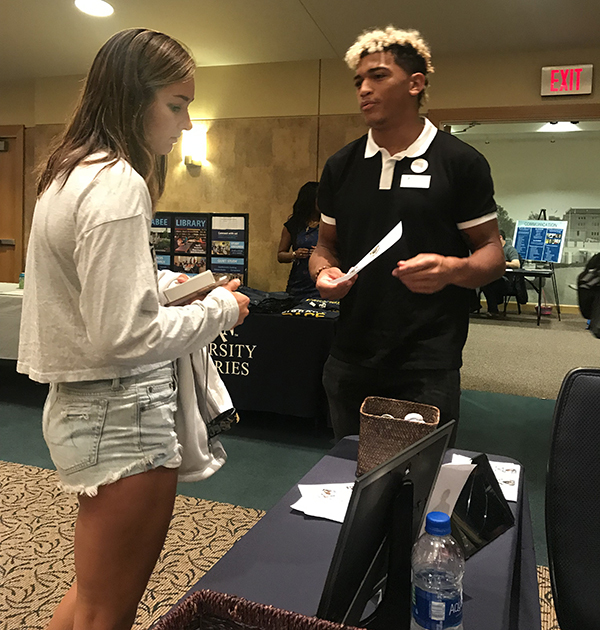 During the month of September, Ichabods Moving Forward met with several different organizations on campus. Several of these organizations made a donation as a group to our fund. The organizations that we met with include Zeta Tau Alpha, Alpha Delta, Sigma Phi Epsilon, Phi Delta Theta, Phonathon students, and the Student Athlete Advisory Council. In addition, we also tabled at the Washburn University Family Day tailgate. We spoke with students and their parents about Ichabods Moving Forward. While tabling at Family Day, we received our first international donor! Thanks to our generous donors, we have over $1,000 in the student emergency fund. The goal is to have $4,500 in the fund by the end of Day of Giving. We will start accepting assistance applications in January. You can donate online by clicking here. THANK YOU so much for coming to learn about Ichabods Moving Forward at the Bowtie Fair. It was great to see many Washburn students and to share our vision regarding our emergency fund. We are happy to announce that we now have t-shirts available. Contact us by email to see how you can get one of those shirts! Ichabods Moving Forward had the chance to present at the Kappa Sigma Fraternity meeting on Sept. 10 in the Kansas Room of the Memorial Union. We gained over 20 new donors and were able to share our vision regarding the Student Emergency Fund by Ichabods Moving Forward. We are so grateful to have the support of Kappa Sigma. 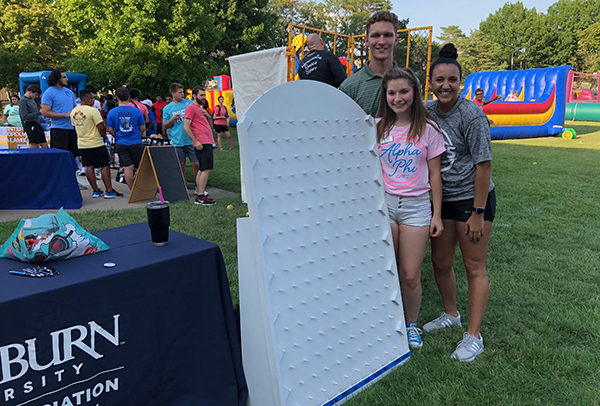 Family Day is coming up quick, and we will be tabling in the union on Sept. 22 starting at 10:30 a.m. We cannot wait for you to hear more about our ambitions toward helping Washburn students. Do you want to have a presentation at one of your meetings? Email ichabodsmovingforwards@wualumni.com to know more about our mission to help students move forward! The executive committee of Ichabods Moving Forward would like to thank all the students who stopped by our table during the 2018 WUfest. We greatly appreciated you taking the time to learn more about our organization. Our goal for WUFest was to spread awareness about our organization with Washburn students. 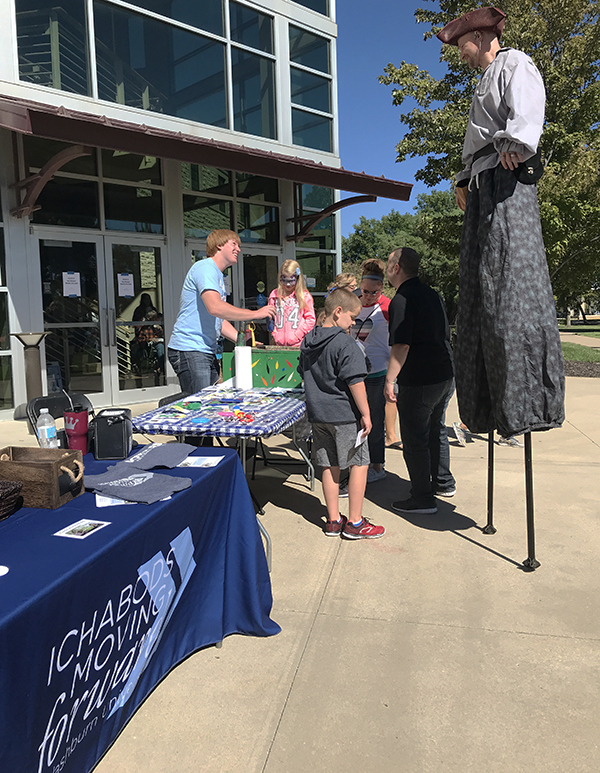 We were able to accomplish this by handing out buttons, flyers, candy and talking to students about Ichabods Moving Forward. The three executive committee members tabling were Makayla Vargo, Colin Truhe and Becca Nyman, and each found the night to be a huge success for the organization. Although still new to campus, we are excited about the potential of making an impact in students’ lives. As we continue to table and have events this fall, we will start collecting donations that will go into our student emergency fund which will become active in January of 2019. Ichabods Moving Forward will be tabling at the Bowtie event on September 5 in the Washburn Room A/B. To learn more about Ichabods Moving Forward and how to donate, stop by our table between 10:00 a.m. and 2:00 p.m. to talk with a committee member. If you have questions about Ichabods Moving Forward, contact us at ichabodsmovingforward@wualumni.org or 785.670.2751.